Marilyn Manson and The Smashing Pumpkins’ Billy Corgan will be holding a joint press conference on May 18 in Chicago. 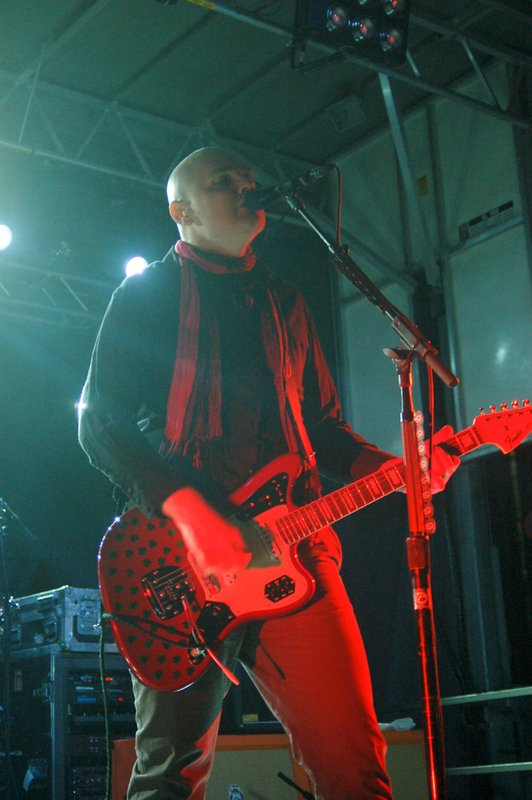 The Smashing Pumpkins and Marilyn Manson will be headlining The End Times Tour together in summer 2015. The press conference will be their chance to answer questions from journalists and fans alike about the tour. The event is called The End Times Takeover: A Conversation With Billy Corgan and Marilyn Manson, and it will take place at 7:30 pm in Chicago’s Virgin Hotel on May 18. While the live event is open to fans on a first-come, first-serve basis, according to Pitchfork, it will also be livestreamed online by The A.V. Club. Marah Eakin, who works for The A.V. Club, will be moderating the conference. Marilyn Manson released his latest album, The Pale Emperor, in January 2015. To check out some of his new material, you can watch the music video for his track “Deep Six.” Though it is clear with the new album and upcoming tour that his music is still a priority, he is also making headlines for acting. He previously appeared on shows like Sons of Anarchy and Eastbound & Down, but will now appear in the film Let Me Make You A Martyr, in which he will play a hitman.